FLI chooses our business partners very carefully. Special relationships are built over time from trust. FLI stands behind our partners who compliment FLI. FLI looks at a few different traits before entering a relationship with manufactures, other shops or businesses. Motul; based in France, fluid intellectuals of the world, FLI has been a dealer since 2004. Cobb Tuning; based in Austin TX USA, started by Trey Cobb, manufacture of parts, reverse engineering of OEM ECU’s, FLI’s the second oldest dealer since 2003. FLI is factory trained. Link ECU; based in New Zealand, FLI has been a dealer since 2005 FLI is factory trained. 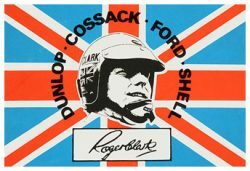 Cosworth Electronics; based in UK and USA, manufacture of motorsport grade electronics experts. FLI has been a dealer since 2009 FLI is factory trained. Tomei; based in Japan, manufacture of engine and exhaust parts experts. Blouch Turbo; based in PA USA, FLI has been a dealer since 2006, manufacture of turbocharger experts. Radium Engineering; based in Oregon USA, FLI has been a dealer since 2012, manufacture of fuel and AOS experts. Injector Dynamics; based in TX USA, manufacture of injection experts. Goodridge; based in the UK, manufacture experts of fuel, oil and boost delivery hosing. FLI crimps all hosing in house. UpRev Engine Management; based in Austin TX USA, FLI has been a dealer since 2010. Diablosport CMR; based in FL USA, FLI has been a dealer since 2010. Emtron Engine Management; based in AUS, manufacture of high quality motorsport grade ECU’s. FLI has been a dealer since 2018, FLI is factory trained. 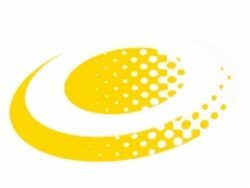 Whiteline; based in AU and USA, manufacture of suspension parts. FLI has been a dealer since 2006. AAM Competition; based in MD USA, Nissan parts experts. Fabworx; based in Santa Rosa USA, fabrication experts. FLI has had a relationship since 2003. Filippo Speed Shop; based in Cotati USA, hot rodding, suspension, alignment, motorsports trained and chassis experts. FLI has had a relationship since 2007. J.N.W. Engine & Machine; based in Santa Rosa USA, machine shop interconnecting door to FLI since 2004. Plex Tuning; based in GREECE, manufacture of motorsport grade electronics. FLI has been a dealer since 2017. Texense Sensors; based in FRANCE, manufacture of flagship motorsports grade sensors. FLI has been a dealer since 2016. Action Clutch; based in Los Angeles USA, manufacture of high quality clutches. FLI has been a dealer since 2017. Tommy Sullivan Photography; based in Northern California, unique eye and professional approach with vast experience with photography. Roger Clark Motorsports; based in UK, Subaru manufacture parts experts, Prodrive Engineering trained brothers professionals. FLI has been a dealer since 2017. Subaru USA/Japan; based in Japan, FLI has been a dealer since 2001, FLI is factory trained. Alientech; based in IT, reversed engineering of OEM ECU’s. FLI has been a dealer since 2008. Racing Mix; based in Northern California, media, original content, photography experts. FLI has had a relationship since 1997. ZTeamYossi; based in Northern California, media, car culture, show car crew who shares there passion for cars. FLI has had a relationship since 1997. 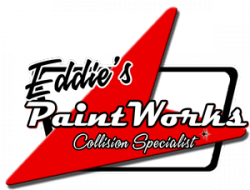 Eddie’s Paint Works; based in Cotati USA, paint experts.